Human beings are brave creatures. When circumstances challenge us, we pull up stakes, leave our accustomed places, and bravely venture forth into unfamiliar territory to start anew. I love that about us. I also love that when we do set out for somewhere new, we bring the traditions of our homelands with us. It is this carrying forward that has enabled us to share such a broad range of ideas, foods, and customs so widely across the world. One such shared custom is the festival of Diwali (also known as Deepvali), which is celebrated worldwide by people of Indian descent. A five day festival, beginning on November 13 this year, Diwali is known as the festival of light. The name Diwali translates to "row of lamps," and, traditionally, the celebration involves the lighting of clay lamps filled with oil to symbolize the triumph of good over evil. These lamps are left lit throughout the night, and houses are giving a thorough cleaning from top to bottom. Firecrackers are lit to drive away evil, and celebrants wear new clothes and share sweets with family and friends. Diwali celebrations differ within different regions of India and, as Indians have emigrated worldwide, they've taken their varied regional celebrations with them. What is common to all these festivals though, is a joyous sharing of customs and good wishes. For those outside the Indian community, Diwali festivals are an opportunity to experience firsthand the food, music, and traditions of another culture. 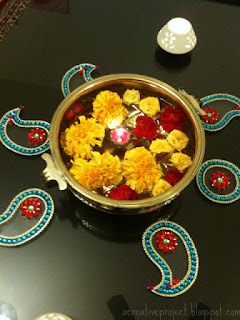 I enjoy decorating for any sort of holiday, and decorating for Diwali is great fun. It's all about lights and bright colours, especially red and yellow; a nice contrast to the season's darkening weather. There's lots of Diwali decorating advice to be found on line, but I especially enjoyed the photos A Creative Project shared of the decorations in her own home for last year's festival. 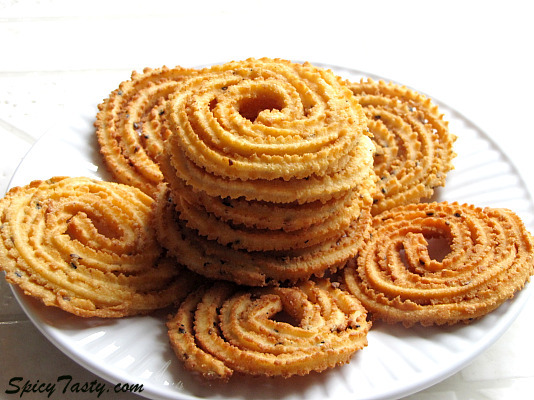 If you would like to try cooking some traditional Diwali dishes at home, Spicy Tasty has compiled an excellent selection of recipes, both sweet and savoury. Many of the dishes on the list are new to me. I'm looking forward to giving them a try. Do you have a Diwali celebration in your community? Have you ever attended? If so, I'd love to hear about it.